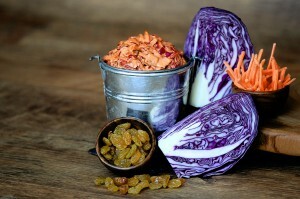 Combine cabbage, carrots, onion and raisins in a large bowl add the John’s Famous® Slaw Dressing and then salt and pepper to taste. Cover and refrigerate for at least an hour. Enjoy!